Samba is an application-layer network protocol, with its primary purpose to provide shared access to files, however, many users reported Unable to access Samba share message while using it. This can be a big problem, so today we’ll show you how to fix it. Samba runs on most Unix based systems, such as Linux OS for example. Samba also takes its name from Server Message Block or SMB. Most of the time, you’ll be using SMB to connect to devices that aren’t running Windows. Starting from build 1709, Samba has a hard time working well since Windows disables unauthenticated access to shares that are using SMB2 with guest access enabled. However, there’s a way to fix this problem. How can I fix Windows cannot access Samba share message? Select Computer Configuration and click on Administrative Templates. Select Network and choose the name of your Workstation. Modify Enable insecure guest logons to Enabled. Apply changes and restart your machine. The SMB1 protocol has been disabled since recent updates to Windows 10, but was never fully removed. Merely stowed away, meaning you can temporarily enable this protocol on your Windows 10 machine. Open the Control Panel, and click on Programs. Expand the SMB 1.0/CIFS File Sharing Support option. 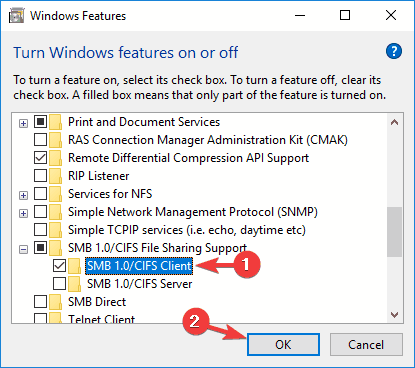 Check the SMB 1.0/CIFS Client option. Click the OK button and click the Restart button. 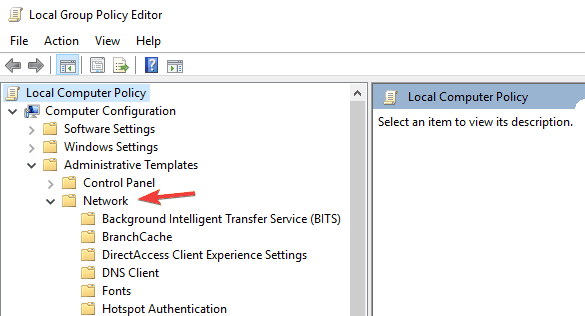 Click Local Computer Policy then select Computer Configuration. Next, go to Windows Settings and select Security Settings. Select Local Policies and click on Security Options. Locate a policy named Microsoft network client: Digitally sign communications (always), it should always be Disabled. Always remember, keep your Lan Manger’s authentication level to Send LM & NTLM – use NTLMv2 session security if negotiated. And if there’s any firewall involved, configure them correctly. Unable to access Samba share message can cause certain issues, but we hope that you managed to fix it using our solutions.